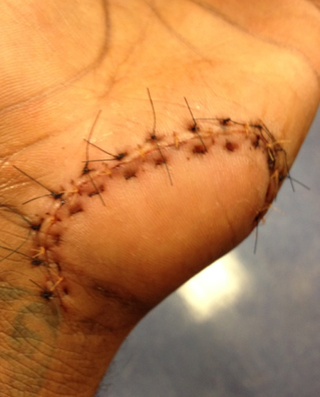 We all knew Amar'e Stoudemire's hand must've been messed up when we saw him walking out of Miami, arm in sling and slated for surgery the next day. Today, he tweeted out some visual evidence of what it looks like one punches a metal fire extinguisher case and the case wins. Click the photo to embiggen, if you're so inclined.